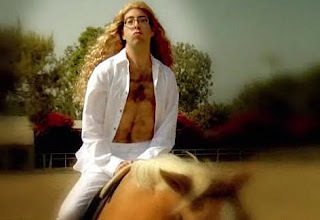 From the Penn alum who brought you "The Murray Hill Song" and "I Miss Moranis", DJ Lubel (C'05) has now created a, dare I say, very funny, and very well produced (thanks to Jake Avnet (C'05)) viral video so very NSFW (that's "Not-Safe-For-Work") that I need to have you click the "continue reading" link below to watch this video! Not sure how they got Chachi (Scott Baio) to appear in this, but good for them! Perhaps this will bring Scott Baio into the limelight again? You never know in Hollywood!